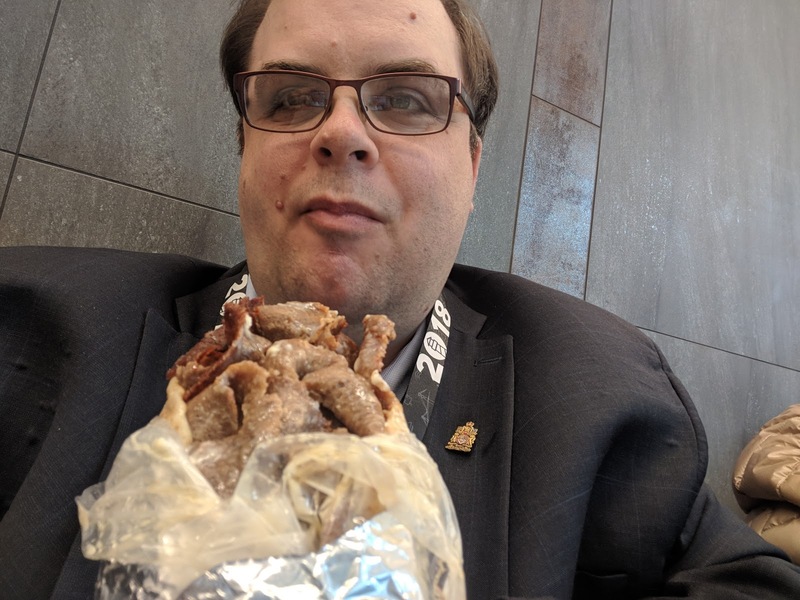 Spending a few days in Halifax last weekend for the Liberal biennial convention, I decided to make the most of my limited outside meal opportunities by focusing on the local specialty -- the Donair -- and the proximity of the ocean to eat as much seafood as possible. The nearer I am to saltwater, the more fish and seafood I eat. 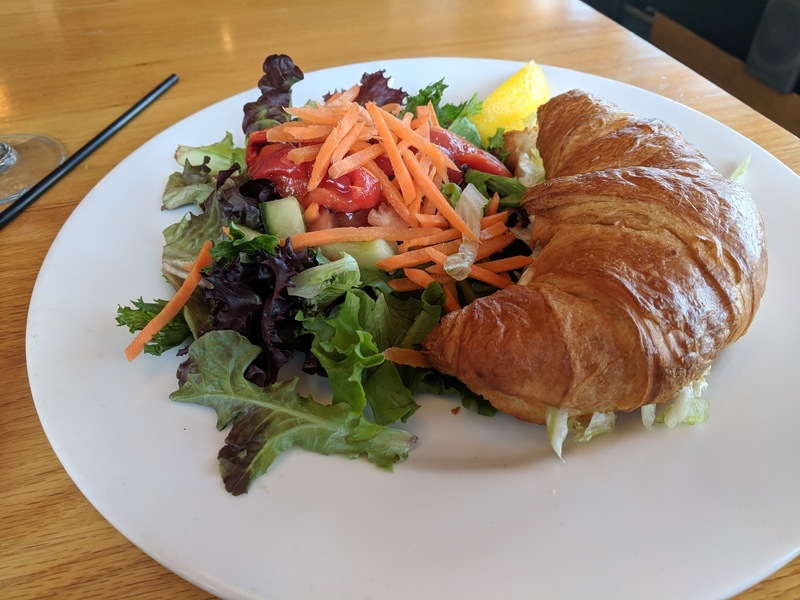 My first seafood meal came not long after arriving in town late Thursday evening, as I wandered down to Stayner's Wharf in search of what my grandfather always told me was brain food. I had expected a more extensive seafood selection, but settled on the Cajun haddock with pineapple salsa. It came with rice with black beans & tri-coloured bell peppers. I don't care for beans so the rice didn't do much for me, but the haddock was excellent. The cajun spice was spicier than I expected but no complaints from me, and the pineapple salsa was a nice tough. Alas, in my hunger I neglected to snap a photo. While box lunches were on offer Friday in the Laurier Lounge at the convention, I opted to order in from Tony's Donair and Pizza. One regular (medium) donair, and three donair egg rolls with donair dipping sauce (two were for a friend). I'll begin with the egg rolls. While the meat was good, the dough was too chewy to be enjoyable and I found the sweetness of the donair sauce a bit much when dipped with an egg roll -- it's better dispersed at a lower ratio in a donair. Moving on to the donair, my only negative note is too much chopped raw white onion, bunched up together -- it distracted from the experience. The meat was tender, succulent and tasty, the pita fresh. And there was tomato for variety. 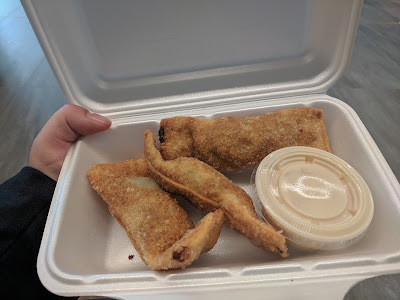 It was a lot of meat for a medium, and after the egg roll was more than I could eat. Will hold the onions next time and it will be perfect. Usually when I visit a steakhouse, the steak is mandatory. 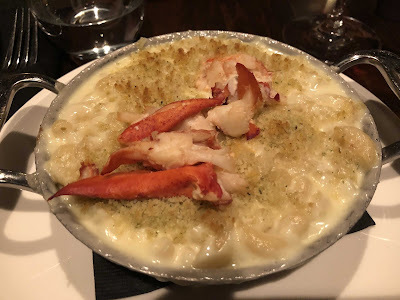 But after afternoon appies in the Laurier Lounge and Peace by Chocolate at the Judy Party, when I joined friends at The Barrington Steakhouse & Oyster Bar, I opted to go for something a little lighter -- the Lobster Mac & Cheese. Hey, in my mind it's lighter. It was truly delicious. Decent amount of cooked lobster, actual elbow macaroni (restaurants putting mac & cheese on the menu but actually serving penne or some damned thing is a long-running pet peeve), creamy cheesy goodness, piping hot, bread crumbs, mmm delish. It was the steak of pastas. 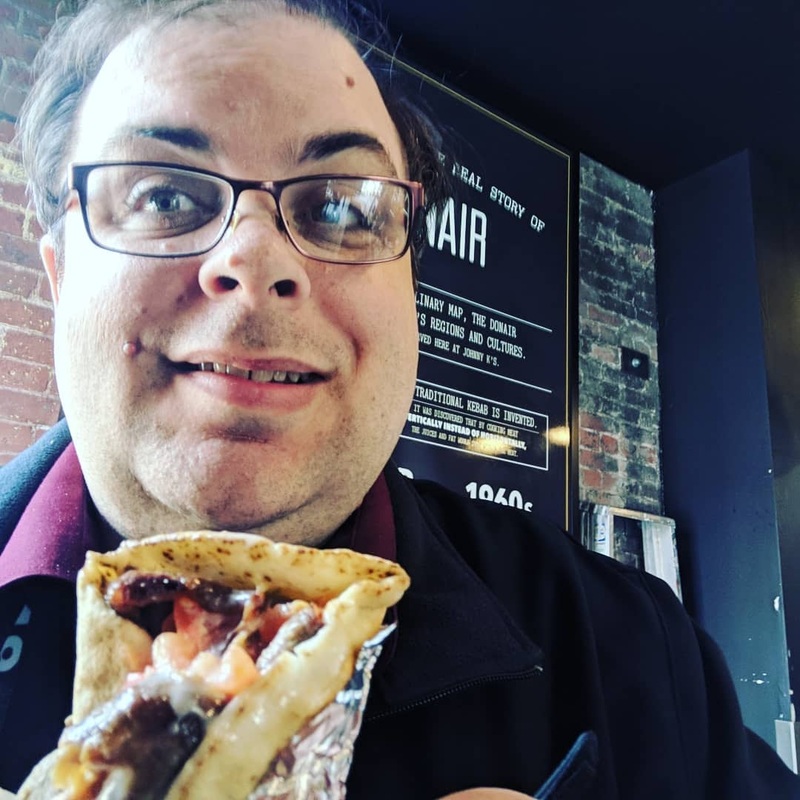 On Saturday for lunch, rather than trying for donair delivery or venturing to one of the recommended donair shops (all a taxi drive away) I decided to go to an establishment a block away: Johnny K's Authentic Donair. After Tony's the day before, I immediately regretted not sticking to the recommended options (King of Donair was next on the list). The regular (medium) was smaller than the Tony's regular. While I held the onions which was great, it's all about the meat and the meat just did not hold up to Tony's. There was enough of it, but I found it processed-tasting, lacking in flavour and a bit dry. 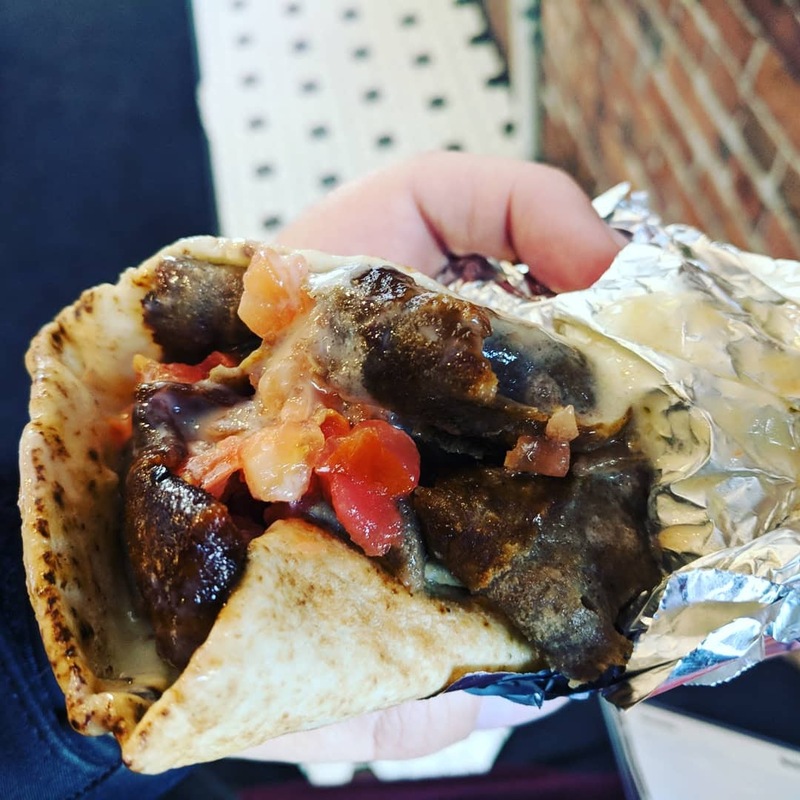 In the Ottawa shawarma world, we've long known too many places will try to compensate for dry meat with more sauce. In a good shawarma, you don't need to go heavy on the sauce when you have tender, succulent seasoned meat that can be the star. I think the same holds true with donair. Speaking of which, with shawarma I always go for the garlic sauce over the sweet, and the sweet donairs served to confirm this choice for me. For dinner, after the Prime Minister's speech I met a friend down the street at The Five Fisherman, where they had a more extensive seafood selection than Stayner's. I began with the Nova Scotia seafood chowder, and it was the best chowder I've had in recent memory. 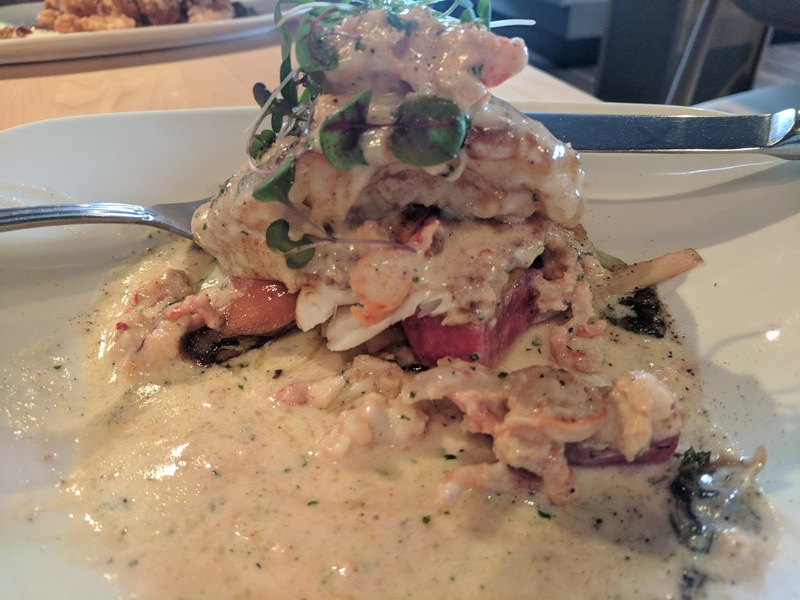 Creamy and packed with quality fresh seafood. Tasted home made and not processed. Flavourful broth, chunky scallops. 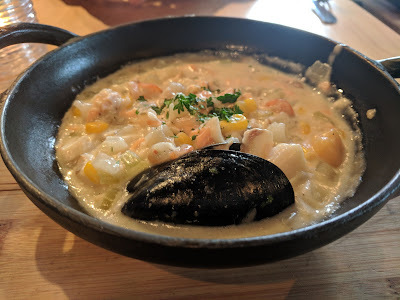 shrimp, clam, mussels and scallops -- the in-shell clam was a nice touch. A chowder I would fight to make sure you say it right -- chowdah! Next up for the main was more haddock -- they like their haddock in Halifax. So did I, though. I cannot find the menu description online, but it was a delicious creamy sauce with plenty of haddock and fresh veggies. Delish. 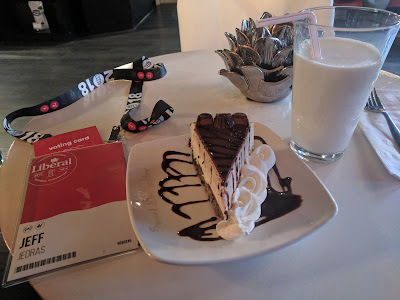 Going for a walk behind my hotel in the evening I came across a desert place specializing in cheesecake, called the Sweet Hereafter Cheesecakery. They had me at cheesecake. My slice of chocolate peanut butter cheesecake could have used more peanut butter, but it was sinfully rich and, washed down with a tall glass of cold milk it was a great cap to the evening. Finally, on Sunday, after touring the excellent Canadian Immigration Museum at Pier 21 and walking along the waterfront, and discovering King of Donair doesn't open until too late for me to get my shuttle and taking a taxi to Pizza Corner seemed an unjustifiable expense, I turned to Google for Lobster Roll recommendations and kept walking down the wharf -- making sure to step out onto a pier for authenticity's sake before taking the obligatory Barret's-themed photo -- to visit Salty's. Yeah, so I was told we'd cruise the seas for American gold? 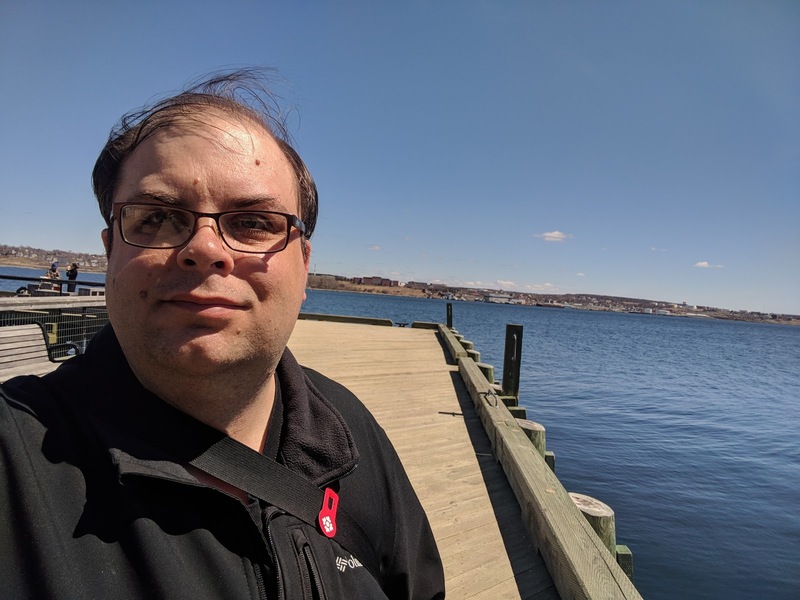 Its waterfront location offered a great view, but I got a bit of a tourist trap vibe I didn't get from my other seafood stops. 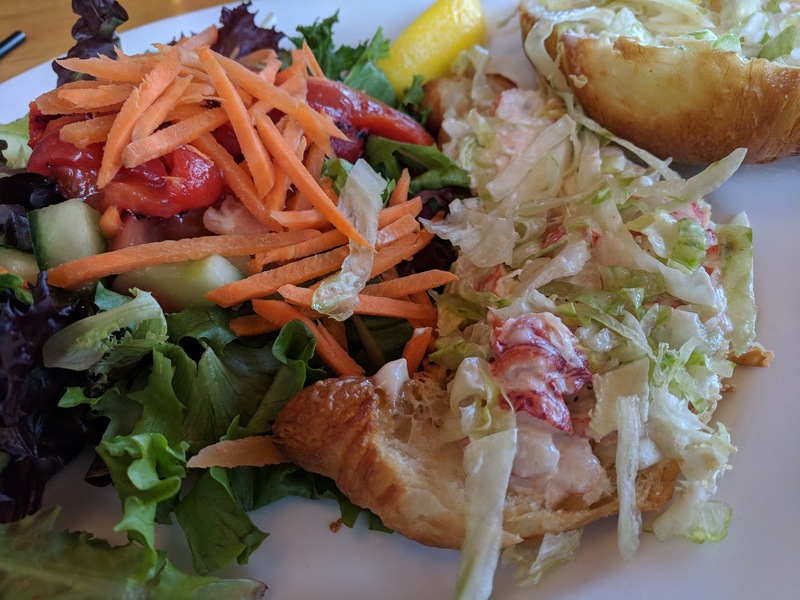 Still, after inquiring of the market price I went ahead and ordered the lobster roll. It came on a croissant, which doesn't seem traditional though it was a tasty pastry. I was not impressed with the paltry amount of lobster I got, maybe half of what I had at Barrington's for roughly the same price. It was tasty, but not great value. The salad was a standout, highlighted by the stewed red peppers and a tasty raspberry vinaigrette. 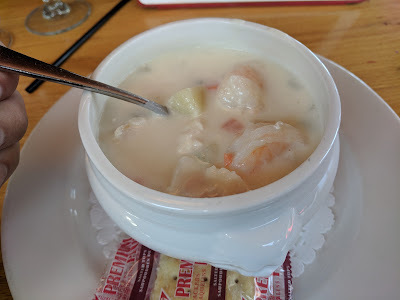 Knowing that this wouldn't hold me until a late dinner back in Ottawa though, part way through the main I ordered a seafood chowder. It was disappointing after the amazing chowder at Five Fishermen the night before. Bland broth, filler potato, not enough seafood. There were two shrimps, but otherwise it tasted generic and processed. And with that, my meals were at an end. Farewell to Nova Scotia!